Skyoseasons - Add Seasons to Minecraft ! This plugin brings seasons to your Minecraft server ! BE WARNED : THIS PLUGIN IS NOT MAINTAINED ANYMORE. IF YOU WANT TO HELP ME TO UPDATE THIS PROJECT, PLEASE CONTACT ME. A lot of config options. Custom seasons : you can add or remove as many seasons as you want. Day / night lengths can be configured for each season ! Can be hooked with ProtocolLib (no modification on your world). 1.11 compatible ! Automatically make a backup of your worlds when the plugin loads a world for the first time. Automatic updates (can be disabled). For commands, permissions and config options, please check the documentation. Please use the ticket tracker here. All of that can be disabled in the configuration file. Check the documentation here for more informations. Don't forget to come on the plugin's website ! Hey awesome plugin. Just wondering are you going to add whether the players have to where leather in the winter to keep warm. that would be awesome. otherwise they would take damage overtime if they they put on leather or get near a fire. also have it enabled or disabled options in the config, for server owners have a choice to put it in or not. maybe as well have it configurable if torches add enough heat or not or how many torches you will need. stuff like that would be interesting. Otherwise awesome plugin. For some reason I change the config for the enabled worlds but they always reset back to the default. Please help! - You can add (or remove) any world you want here ! Just stop your server, edit the config and then restart the server. 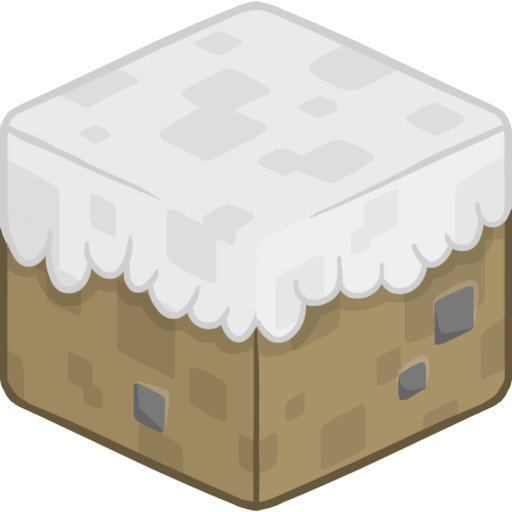 I really like this plugin and Im working to setting up for included in a server but I notice a problem, when the winter ends or changing to another season some parts of biomes with a large amount of water are still frozen I set up to prevent that everything gets frozen but this parts with water do not thaw and only thaw the water that its X blocks near to the coast. Here is a picture of the problem. Did you set up snow melt ? Yes, and some blocks of ice thaw correctly but the big lakes, rivers and parts of a biome with a large amount of water dont thaw completely, the picture shows how ice is thawed all of the water is in the same biome. I love this plugin but I've a problem when I choose "Summer" for exemple, the snow melts but not the ice ! The lake next to my village is always frozen... :( Do you know why ? Did you set cancel-auto-snow-placing to true ? Is there a way to sync the date real-time, without adjusting day and night cycle to ridiculous times ? P.s great plugin, enjoying the approach of Christmas with my friends! No you can't. You have to adjust it to "ridiculous times". Don't forget to leave some feedback once available and as always, if you appreciate my work, feel free to share it and to donate. I am waiting for the update to 1.9 to 7.5 months longer. It may have to 1.10 immediately update? There are polar bears in the winter spawn. Seems like he isn't doing anything right now. I've already opened a ticket for the 1.10 compatibility but no comment from him until now. And when we wait for the update? Hello , I would like to use your plugin for my server 1.10. Do you update it ? thank you . is not compatible with 1.9 :( you will update?